We all belong to some form of culture and identify with that culture in varying degrees. Our understanding of our own cultural identity begins at birth and is developed by the environment in which we grow up. It may be a loose affiliation or the guide that directs our daily activities. Whatever the connection, our cultural identity provides a sense of belonging. For Indigenous Peoples their culture is the essence of who they are, who they belong to, where they come from, how they relate to one another. Culture is the accumulated teachings of ancestors. It is the basis of traditions, customs, protocols, values, spirituality, ceremonies, language, ways of knowing and being, and connections to the land and the life-sustaining resources of the land. Culture permeates all aspects of life and is essential to the overall well-being of Indigenous communities and individuals. If living within one’s culture and being involved in the rituals associated with ceremonies and traditions is the essence of Indigenous identity, health, and wellbeing then it can be argued that losing one’s culture, or being disassociated from it, can contribute to a breakdown of health and wellbeing. Coming to terms with all the horrors that children were subjected to while in residential schools and overcoming the other Indian Act policies are significant challenges for individuals, families, and communities. Maintaining and strengthening cultural continuity are primary goals for many communities. The residential school policies of removing children from families and communities and then stripping the children of their culture have been termed cultural genocide by Canada’s Truth and Reconciliation Commission. The impacts are ongoing and profound. The schools, over time, saw 150,000 children pass through their dark doors. That number represents 150,000 individuals whose cultural identity and cultural connectivity was severely impacted, as was their ability to contribute to their community’s cultural continuity. In the schools, the children were taught that their home cultures, customs, traditions, spirituality - everything that defined them - were all wrong. When they returned to their communities they felt alien but they also felt alien in the non-Indigenous culture outside their communities - they didn’t belong to either world. 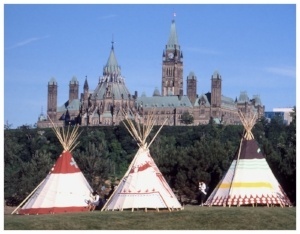 Indian Act policies stripped people of their traditional names, devalued women, outlawed cultural practices, replaced traditional leadership and governance with elected leaders and municipal style governance, moved communities onto reserves, and took away their independence. These are all factors that impact and threaten cultural continuity. Because many reserves are remotely located with limited opportunities for education and employment some of the younger community members are forced to move to urban centres. A decrease in the population of a community impacts the ability of that community to carry on, to transmit cultural knowledge to the next generation. This is another barrier to cultural continuity. As many of the youth migrate to urban centres and those who hold the cultural knowledge age and pass on, there is a real and urgent need to protect Indigenous cultures. Community-controlled healing and reconciliation projects. Community-controlled culture and language revitalization projects. What can non-Indigenous Canadians do to support Indigenous cultural continuity? Here's a free ebook for you. Click the image to grab your copy.